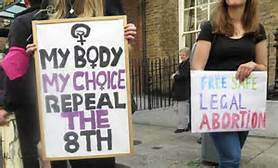 This article, first posted by Socialist Democracy (Ireland) on the situation in Ireland following the earlier successful repeal of the 8th amendment highlights the need to organise independently of the state. 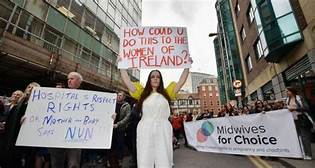 After a period of quiet relief following the repeal referendum the struggle around abortion rights is returning to the political agenda. 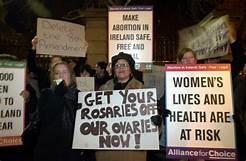 The effect of the referendum was simply to remove abortion from the constitution and make it an issue for legislation. 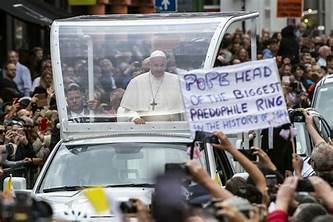 Following Pope Francis’s visit to Ireland we are posting this article by D. R. O’Connor Lysaght of Socialist Democracy (Ireland). Throughout the life of this blog, we have been posting material about Ireland/Northern Ireland. The British ruling class has always taken a keen interest in developments there. 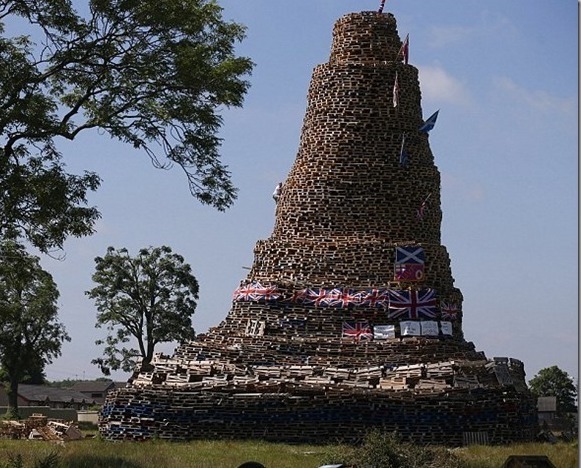 However, such is the nature of the unionist state, that British governments have been successful for most of the time, in getting people in England, Scotland and Wales to view the situation as being ‘over there’ and somehow disconnected from what happens ‘over here’. Now that May has made a deal with the DUP to keep the Tories in office, it becomes even more important to understand what is happening within the UK state we live in. Below we are posting three articles from Socialist Democracy (Ireland). The first two look at the reality of the ‘Twelfth’ in Northern Ireland. The third looks at the likely impact of the DUP’s entry into mainstream British politics. On 25th November thousands of activists demonstrated in Dublin calling for the abolition of the 8th amendment to the Irish constitution – a section that asserts equal rights to life between the mother and foetus (the wording refers to the “unborn” which assumes that that life begins at conception). The demonstration was in part was a celebration of the decision by ICTU, the Irish trade union congress, to support the call to repeal the 8th. In tribute to recent mobilisations by Polish women, many wore black – the main symbol for the Polish demonstrations. Rayner O’Connor Lysaght (Socialist Democracy-Ireland) has written a pamphlet entitled From the GPO to the Winter Palace, outlining the period between the 1916 Easter Rising in Dublin and the 1917 October Revolution in Petrograd. As part of our 1916 Rising centenary postings, Rayner’s talk given to the Irish Labour History Conference in Dublin on Saturday, October 22nd. is given below. Comrades, Friends, I will begin by making a brief comment on the centennial year that is now more than three quarters complete. Like most of you, I approached it with foreboding, which seemed justified with the twenty-six county Government’s notorious video last year, no more than to be expected from that gang, of course. Happily, in general, matters have improved considerably, mainly, it would seem, because the said Government has taken a back seat to let the people run things. In the struggle over the future of the UK, the main battle is being conducted between the SNP pushing for a liberal unionist ‘Devo-Max’ agenda (looking for support from a possibly Corbyn-led Labour Party, Plaid Cymru and the Greens) and the conservative unionist alliance led by David Cameron, with the tacit acceptance of ‘One Nation’ Labour and the Lib-Dems. However, there is a third unionist force, the reactionary unionists consisting of UKIP, the Tory Right and Ulster unionists, backed by the loyalists. The following two articles from Socialist Democracy (Ireland) cover recent events which show the impact of reactionary unionism in the ‘Six Counties’. Here, reactionary unionism continues to make political advances, seeking to undermine the Good Friday Agreement (GFA). These articles show how Sinn Fein’s acceptance of a liberal-unionist road to Irish unity through the devolved institutions of the UK state (i.e. Stormont) is looking increasingly like a dead-end. 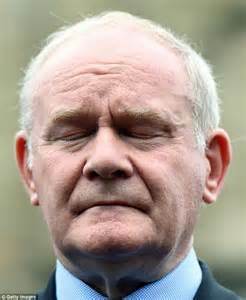 The UK state is using the threat posed by reactionary unionism to dictate the political direction of events, even threatening to evict Sinn Fein from the post-GFA political set-up, if it does not fully cooperate. As the first article shows, the killing of Kevin McGuigan is the latest stick being used to attack Sinn Fein. Reactionary unionism can not be ignored over here, because UKIP, in particular, seeks to use Northern Ireland as a model of how to undermine the current liberal unionist ‘Devolution-all-round’ political settlement, the better to clamp down on any more radical alternatives. And when the chips are down, conservative and even liberal unionists will also turn to reactionary unionism for support. Glasgow Labour Council’s current flirtations with the Orange Order and other loyalists are just one indiction of this. The forthcoming European referendum will largely be fought on conservative unionist (Cameron and his Labour and Lib-Dem allies from the old ‘Better Together’ alliance) versus reactionary unionist (UKIP and the Tory Right) terms. The prospect of the ‘Six Counties’ breaking their current links with the 26 Counties within the EU is a particularly enticing prospect for reactionary unionists and loyalists. They want to turn the clock back and reintroduce old-style Partition. As republican socialists we need to mount our own ‘internationalism from below’ alliance covering not only Scotland, England, Wales and the whole of Ireland, to counter the threat of reactionary and conservative unionism and the limitations of liberal unionism. This needs to be extended to bring together the European Left to defend migrant workers and asylum seekers, targeted both by the reactionary and conservative unionists, with minimal opposition from liberal unionists. 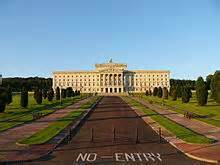 The Stormont road to a united Ireland? In October 2013 Kevin Kearney was shot dead in North Belfast by an anti-agreement republican group. Immediately after the killing Gerry Kelly of Sinn Fein identified the group responsible and provided detailed information about the background. 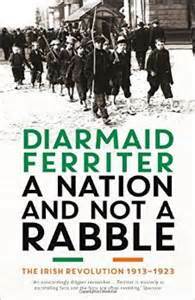 Diarmaid Ferriter’s new book is good on two counts; it is well written and very well researched. The author has trawled very thoroughly the primary sources recently expanded with the freeing of the various archives in Ireland and Britain, over and above an enormous range of secondary material. This is a book that can be read with ease and should be read by anyone with an interest in Ireland’s history of a century ago. It is a mint of historical material. Following the inspiring referendum vote in support of gay marriage in Ireland, E&L is posting the article below from Socialist Democracy (Ireland). The 22nd of May was a truly historic day. 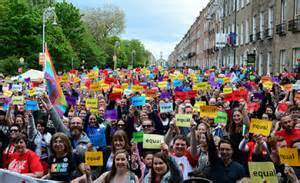 The population of the Irish state, long seen as a bastion of Catholic conservatism, voted in an overwhelming majority to amend the constitution to support LBGT marriage.